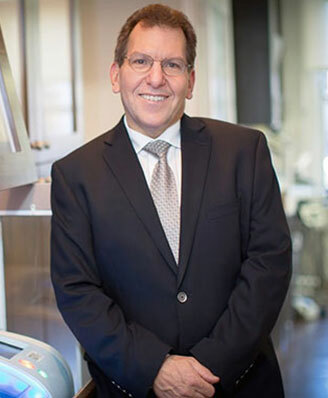 Dr. Gary Kaye is the founder of Personal Care Dental of Westchester, a world-class reconstructive, cosmetic, and implant dental practice located in Scarsdale. Highly regarded by professional peers and patients alike, he offers state-of-the-art modalities to help his patients attain long-term, stable oral health. Dr. Kaye has successfully treated thousands of patients from all walks of life. He is also the founder and director of the New York Center for Digital Dentistry, which provides consulting on “Fee for Service” practices, as well as in-person and online digital dentistry learning programs. Clients include other dentists and dental equipment manufacturers. Dr. Kaye lectures on ceramics, occlusion, and digital dentistry, and performs live patient demonstrations for dentist audiences. He is also on the guest faculty of Henry Schein’s E4D University in Dallas, Texas. Dr. Kaye attended Columbia University for undergraduate studies and completed his graduate dental school training at the Columbia School of Oral Medicine in New York City. He received numerous awards and citations, including dean's list awards in prosthodontics, endodontics, and geriatric dentistry. He has pursued more than 600 hours of postgraduate studies in many of the sub-specialty areas of general dentistry. Dr. Kaye is a graduate of the prestigious Dawson Center for Advanced Dental Training. He was one of the first general dentists in the United States to become certified in Invisalign® and has attained both basic and advanced certification. An experienced E4D dentist, he has performed leading-edge, computer-assisted restorations technology in his office since 2002. In 2006, he received the Fellowship award from the Academy of General Dentistry. Dr. Kaye is well known for his kindness, caring, empathy, and the total commitment he brings to meeting every patient’s needs. Born in Randfontein, South Africa, Dr. Kaye is married with two children. He is a passionate supporter of the Open Wide Foundation, whose mission is to change the state of oral health in impoverished communities and build new clinics in conjunction with local government support and investment. In 2012, Dr. Kaye and his family served in the Peronia, Guatemala clinic. He also loves golf, music, and soccer.